Recognizing the importance of human factors principles in the design of safe and effective medical devices and combination products, the United States Food and Drug Administration (FDA) now requires manufacturers to incorporate human factors and usability engineering methods within their design process. Furthermore, prior to receiving FDA 510(k) clearance or Premarket Approval, manufacturers must conduct human factors validation (summative) testing in order to prove that their product is safe and effective for the intended users, uses, and use environments. With over 12 years of experience, we have assisted numerous US- and internationally-based vendors in conducting human factors evaluations in order to meet FDA regulatory requirements. In addition, human factors evaluations can also make a product more competitive and reveal opportunities for next generation prototypes. Our evaluation methods typically consist of expert review, heuristic evaluation, formative evaluation and validation (summative) testing. Our methods are aligned with the FDA Center for Devices and Radiological Health (CDRH) Guidance on Applying Human Factors and Usability Engineering to Medical Devices, the FDA Office of Combination Products Draft Guidance on Human Factors and Related Clinical Study Considerations in Combination Product Design and Development, the FDA Center for Drug Evaluation and Research (CDER) Guidance on Safety Considerations for Product Design to Minimize Medication Errors as well as other FDA guidance and established international standards. We will conduct a heuristic evaluation and expert review to identify any deviations from best design practices and suggest recommendations to address them. This is a quick and cost effective method for identifying usability issues without involving real users. Ideally, a heuristic evaluation and expert review is conducted early in the design process. Human Factors Specialists will inspect the user interface of the product for usability. Using a checklist of usability principles (or heuristics) as a guide, each component of the interface (including labeling and instructions for use) will be evaluated according to how well it satisﬁes each principle. We will provide a prioritized list of usability issues identified, along with recommendations to address these issues. Iterative rounds of formative evaluation will be conducted with representative end users to identify usability issues, provide recommendations for mitigations, and then re-evaluate the product to assess the effectiveness of these mitigations at reducing usability issues. Representative end users will participate in usability tests and completed a series of tasks using the product. Human Factors Specialists will observe users’ interactions with the product and note any usability issues they encounter. Based on our expertise with medical technologies, we will identify the root causes of any identified usability issues and provide a prioritized list of recommendations for mitigation. We will conduct a high-fidelity validation test with end users, in accordance with the FDA human factors guidance. The purpose of this evaluation will be to demonstrate that users can perform critical tasks while using the product in a safe and effective manner. We will recreate hospital wards, living rooms or other high-fidelity use environments in our usability labs to allow representative users to carry out tasks while using the product in a realistic setting. The test will also evaluate the labelling and any associated instructional material. 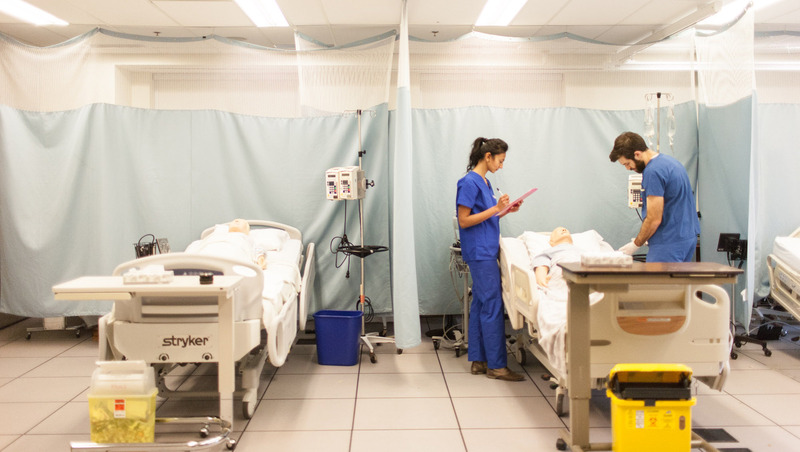 To add to the high fidelity of the simulation, actors will play the role of nurses, family members or patients and interact with participants in a realistic manner. Human Factors Specialists will monitor the test proceedings and document any use errors, close calls, use difficulties, and instances necessitating assistance. We will synthesize findings from the validation test in a suitable report. If desired, we will also participate in any meetings between you and the FDA Human Factors Reviewers that are related to your 510(k) or PMA submission.